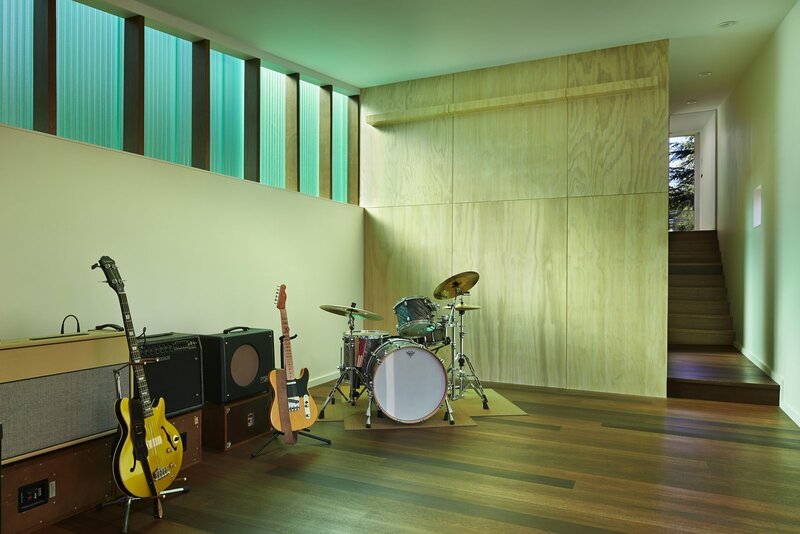 The 1,000-square-foot studio includes a wood shop and music room. The Red Balau wood flooring was treated with Osmo color oil and Osmo Polyx finish. The walls are painted “white heron” by Benjamin Moore.